Located in the north bank of the Brahmaputra tributary, Lhasa is the capital of Tibetan Autonomous Region, with a rich history of over 1.300 years. The city is more than 3.650 meters above sea level. There are 31 ethnic groups, among which 87% population is Tibetans, living on this plateau of nearly 30.000 square kilometers. Lhasa in Tibetan means "holy place", so it is the political, economic and cultural center of Tibet. The magnificent Potala Palace is the symbol of supreme political power of Tibetan government. It was also the capital of Tubo Dynasty in ancient time. 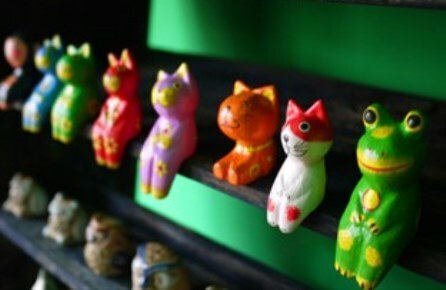 In 1982, it was rewarded one of 24 famous historical and cultural cities of nation. The breathtaking landscape and mysterious Tibetan culture will make a trip here unforgettable. 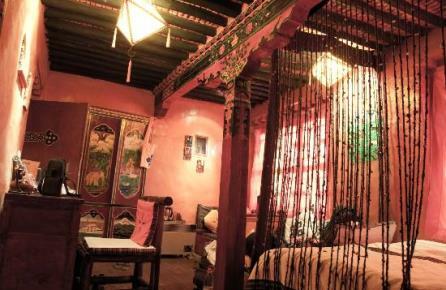 The Shambhala Palace Tibet is a lovely and charming hotel in Lhasa. You can find the hotel in the centre of the town. It is only a five minute walk to get to the old town and it is located very close to Jokhang Temple, Ani Sangkhung Nunneru and the Meru Nyingba Monastry. The hotel has an rooftop terrace with a great overview of the city. Each of the 16 room of the Shambhala Palace Tibet are decorated in traditional Tibetan style but have all the facilities you expect of a modern hotel. Shambhala Palace Tibet in Lhasa! The Lhasa Honey Bee Hub is located in Chengguan , in the vicinity of Jokhang Temple and near Barkhor Square. The Lhasa Honey Bee hub was built in 2012, this comfortable and charming hotel has 29 specious rooms with all modern amenities and the view from the balcony is absolutely stunning. Lhasa Honey Bee Hub in Lhasa! 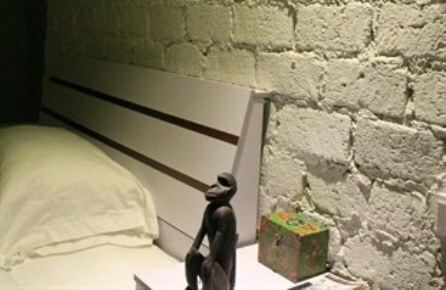 Located in the middle of Chengguan, the Lhasa Pandasang Compound is a good alternative if you like to stay in a Tibetan style hotel. With all the major attractions nearby you won't regret choosing The Lhasa Pandasang Compound as starting point for your stay in Lhasa, The hotel has 23 charming rooms all decorated and furnished in Tibetan style, which you will appreciate more and more after visiting Jokhang Temple. Lhasa Pandasang Compound in Lhasa! The House of Shambhala is one of the smaller hotels in Lhasa, with only 10 rooms it almost feels like you are staying with family. Situated in Chengguan it is easy to walk from the House of Shambhala to the major point of interests in Lhasa like Ramoche, Tsome Ling and Shide Tratsang. The rooms of the House of Shambhala are well equiped and are furnished in Tibetan style, so you truly experience that you are in Lhasa. House of Shambhala Tibet in Lhasa! 25 rooms and a beautiful view from the rooftop over Lhasa and mountains surrounding Lhasa, that is what Tashitakge Hotel offers its guests. Besides that, Tashitakge Hotel is situated in the heart of Chengguan from here it is not difficult to visit the major sights like Pode Kangtsang, Ani Sangkhung Nunnery and Meru Nyingba Monastery. The 25 comfortable rooms are equipped with all the facilities you need and will guarantee a pleasant stay in Lhasa. 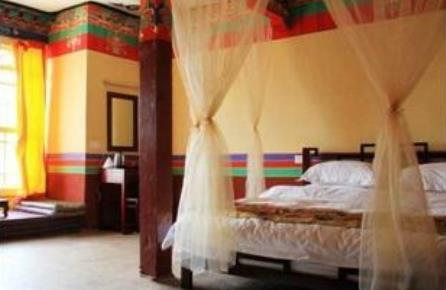 Experience the Tibetan culture in the Yabsi Phunkhang Heritage Hotel in Lhasa, this charming hotel has 21 convenient rooms, the rooms are furnished and decorated in the colorful traditional Tibetan style. From the Yabshi Phunkhang Heritage Hotel you have easy acces to many attractions and it is not difficult to go to Meru Nyingba Monastery, Jampa Lhakhang, Chapel of Jowo Sakyamuni from here. 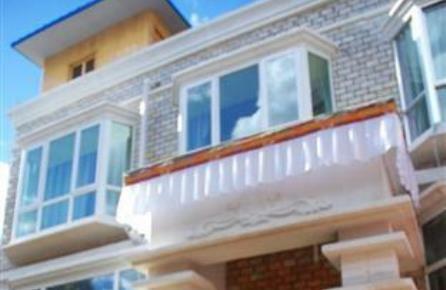 Yabshi Phunkhang Heritage Hotel in Lhasa! Lhasa Warm Palace is situated 1,5 kilometer from the city center of Lhasa. 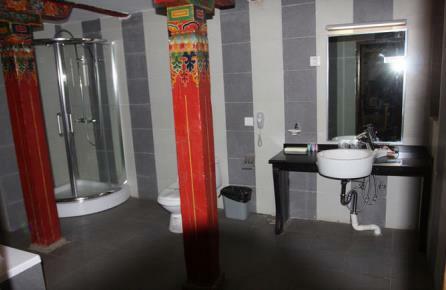 The hotel was built in 2012, the 18 rooms of the Lhasa Warm Palace are comfortable and well equipped with modern facilities. The Lhasa Warm Palace offer her guests easy acces to all major attractions of Lhasa like Ani Sangkhung Nunnery, Meru Nyingba Monastery, Jampa Lhakhang. Lhasa Warm Palace in Lhasa! Situated almost ten kilometers out of the Lhasa, The Lhasa Putihuakai Roadhouse lays a bit further away than most of the other smaller hotels, but the hotel is still a very good choice for your stay in Lhasa. 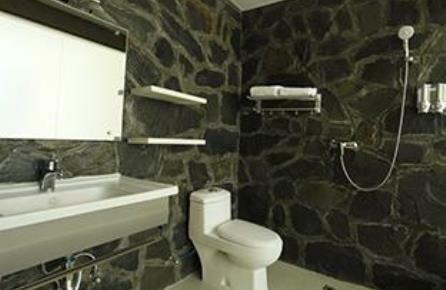 With fourteen room The Lhasa Putihuakai Roadhouse is a cozy and comfortable place where you feel immediately at home. Going to the interesting facilities in the city center of Lhasa will not give you any problems neither visiting Ramoche, Tsome Ling or Shide Tratsang, other beautiful spots around the city. Lhasa Putihuakai Roadhouse in Lhasa! 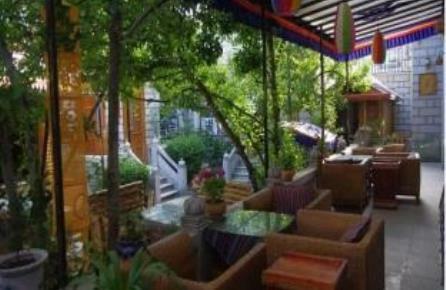 In the vicinity of Pode Kangtsang, Ani Sangkhung Nunnery and Barkhor Square you can find the small and cozy hotel the Lhasa Pingxiaoke Inn. 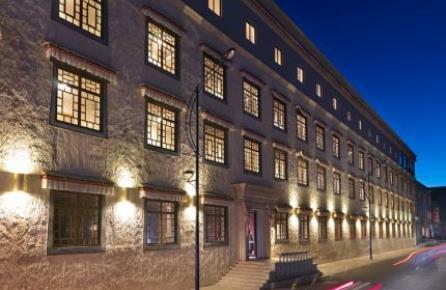 With its central location this charming hotel, with 13 rooms will offer you a perfect stay in Lhasa. 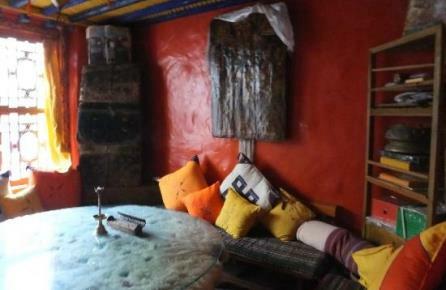 The rooms are decorated in traditional Tibetan style and are equipped with modern facilities. Lhasa Pingxiaoke Inn in Lhasa! Lhasa Shelter Inn in Lhasa!